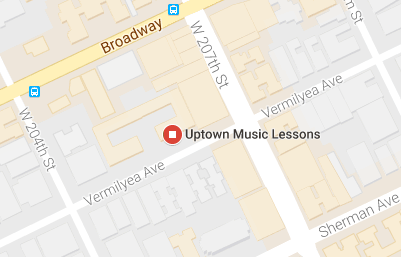 My music studio is located on Vermilyea Ave, between 204 and 207 streets. It's just around the block from the A train stop at 207th and two (longer) blocks from the 1 train stop at 207. The M100 and Bx7 buses also stop less than one block away. The studio is on the first floor, but is not wheelchair accessible. I also teach lessons online, via Skype or Google Hangouts. 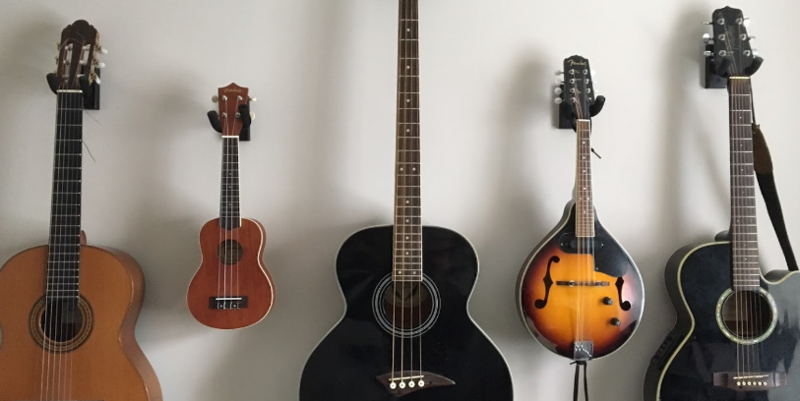 At the studio I have several guitars -- including electric, acoustic, and classical -- electric piano, djembe (African hand drum) and other hand-percussion instruments, bass guitar, mandolin, banjo, ukulele, diatonic harmonicas in several keys, and two Bb clarinets. I'm happy to teach any/all of these instruments at my location, but do keep in mind that not all instruments are portable or easy to carry on the subway! So students ought to have instruments that they can use for practice at their own homes or for lessons if necessary; students are welcome to use my instruments and equipment, with care and caution. I am happy to advise on which instruments, method books, and accessories to purchase, as well as where to find more info and resources for learning. Please contact me to get the conversation started today!